The Belleville 610Z ST was designed as a lightweight tactical boot that meets the high performance requirements and ruggedness of a military boot. It features a side zipper for speedy wear and removal. Its primary weight saving feature comes from the use of Belleville's polyurethane MeraMax outsole which provides ample cushioning in the heel and ball areas while reducing weight. A lightweight steel toe provides protection from falling objects. The 610Z ST also features side vents for maximum breathability to keep your feet cool and dry at all times. If you're looking for top performance in the field without compromising comfort, the 610Z ST is your boot. 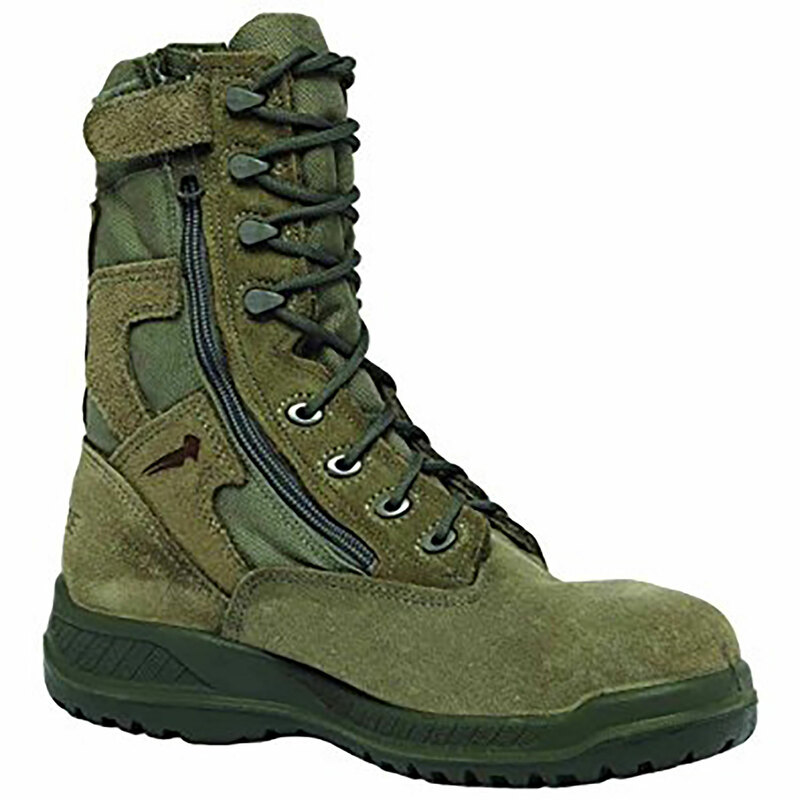 This hot weather boot is approved for wear with the USAF Airman Battle Uniform (ABU) and is Berry Compliant.